Design trends are influenced by media, technology, the fashion industry and, lately usability. A trend emerges slowly, gradually, making its way into all design branches, and then disappears in exactly the same way. Basically, a design trend’s life is no longer than one or two years. Design in 2017 will continue the trends that materialized in 2016 while adding some new influences, but the feeling is well known and familiar and you may have seen it in the past couple of years. 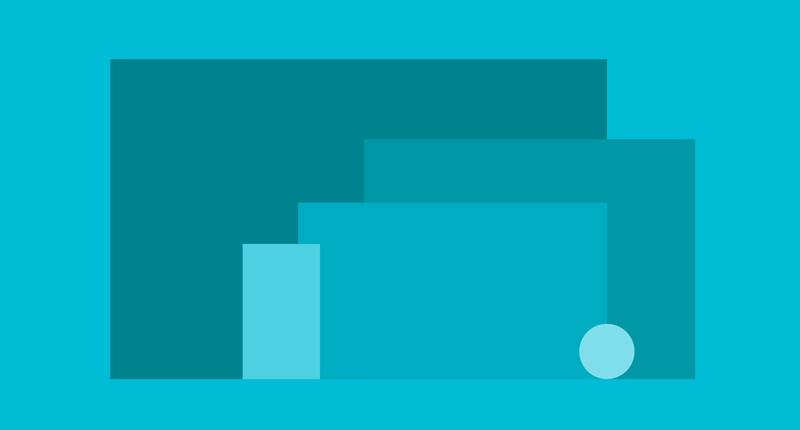 The main influence remains Google’s Material Design, that suffers a few changes. 1.1 Material Design: The fundamentals of light, surface, and movement are key to conveying how objects move, interact, and exist in space and in relation to each other. Realistic lighting shows seams, divides space, and indicates moving parts. In the past few years, flat design ruled the web design market but now, influenced by Material Design, it is becoming more dimensional. This transition begins with some light shadows, making it a semi flat design. The evolution of flat design from a minimalist style suits the new developing technologies. Flat design is still in, but it has undergone some improvements. 1..3 Search Engine Optimization is very important in a website, so a beautiful website without a good SEO will probably be left behind the pack. SEO is a marketing discipline focused on growing visibility in organic (non-paid) search engine results. SEO encompasses both the technical and creative elements required to improve rankings, drive traffic, and increase awareness in search engines. There are many aspects to SEO, from the words on your page to the way other sites link to you on the web. Sometimes SEO is simply a matter of making sure your site is structured in a way that search engines understand. 1.4 hand drawing this is a trend that has been in the spotlight for a few years now and it is perfectly fitting for a “hipster” business. This style is used for the café-restaurant industry, barbers or art and crafts and animated logos Motion design is a huge trend this year and we can find it in all design fields. 1.5 mobile browsing 2015 and 2016 brought a considerable increase in mobile browsing. Tablets and smartphones are now the first choice when it comes to browsing websites surpassing desktops, laptops and tablets – and this trend will continue. Any websites not focused on responsive web design need to upgrade asap!